Rabat - Today, the Moroccan people celebrates the anniversary of the Green March. Rabat – Today, the Moroccan people celebrates the anniversary of the Green March. The Green March is commemorated annually to immortalize the story of the 350,000 Moroccans who marched into Morocco’s southern provinces in the Sahara as well as the millions of Moroccans who were on that march with their hearts to free the territory from the Spanish rule. 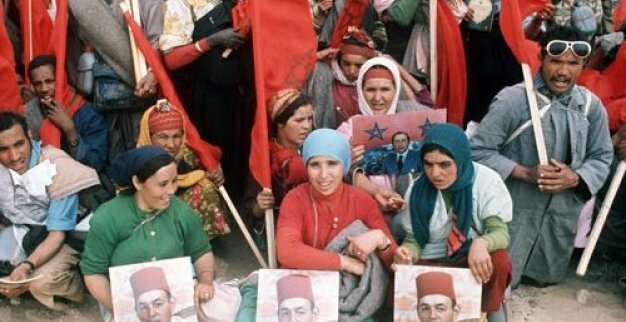 On 6 November 1975, over 350,000 Moroccans from all walks of life marched into the Sahara to reclaim Morocco’s sovereignty over an integral part of its territory. Unfortunately, to this day, this continues to be subject to unfounded claims. That peaceful march constituted a watershed event in Morocco’s recent history and on this occasion, Morocco World News wants to present to you five facts that you should know about the Green March. In 1956, Morocco obtained its independence from France and thus, Spain was forced to abandon the Northern region of Morocco which was under its control. During the years leading up to the 70s, King Hassan II of Morocco had been attempting to negotiate with General Francisco Franco of Spain about the southern province, which was still under Spanish rule. However, the negotiations were futile. 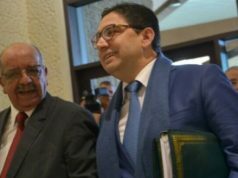 ‘’This proves that the Moroccan Sahara represented to General Franco greater importance compared to what the importance Morocco represented to France, since Franco was using the Moroccan Sahara as a base to control the reins of power in Spain,’’ Senoussi explained. 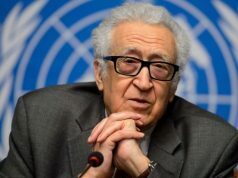 People who sympathize with the Polisario often claim that Morocco is illegally occupying the Sahara since 1975; they claim that the Polisario is fighting for their independence and that Algeria supports the Polisario because the principle of self-determination is one of the tenets of its foreign policy. The truth is far from these claims. 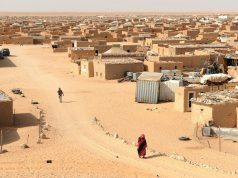 The Polisario is a pure creation of Algeria, and without Algeria’s substantial financial, political and diplomatic support, it wouldn’t have come into being in the first place. 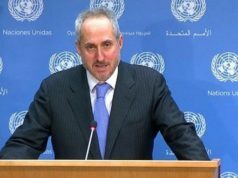 Moreover, to say that a country is under occupation implies the existence of that country before it was occupied by any foreign country. Yet the Sahara had never existed as a country but has always been part of Morocco and its people part of the Moroccan people.. Before that period, and since 1957, the only country that laid claim to this territory was Morocco‘. King Hassan II of Morocco wrote in his book, Memory of a King that in 1975, that he spent the night before the anniversary of the revolution of the king and people, which is celebrated annually on August 20th, thinking of what to say in his speech to nation on that occasion. “Suddenly, at midnight, an idea pierced my mind like a spear,’’ Hassan II wrote. ‘’I saw thousands of citizens demonstrating in the big cities in order to demand the restoration of the Moroccan Sahara. Thus, I said why don’t we mobilize thousands of Moroccans in a peaceful march into the Southern province!’’ Hassan II explained. The king then started planning for the Green March. He was keen on keeping the march a secret, and told only his top five loyal generals, Bennani, El Kadiri, Ziani, Zeriab and Benslimane, after they all took the oath to keep it a secret. According to Senoussi, Hassan II lied to him in order to keep the green march a secret. ‘’During the last week of October 1975, I happened to meet in Rabat an old Jewish friend of mine who used to study with me in Paris. He asked me if we were readying ourselves for war. I answered him in the negative. 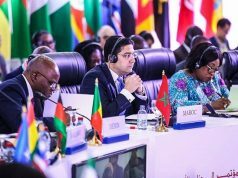 Then he asked me again why Morocco bought over 350 thousand military camping blankets,’’ Senoussi said. That night Senoussi was invited to have dinner at the royal palace along with several other politicians and high ranking officers in the Moroccan army. Then, he decided to ask Hassan II about what his friend told him. 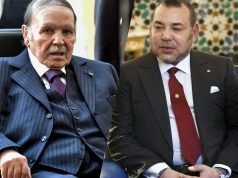 ‘’When I asked HM if buying that big quantity of military camping blankets meant that we were going to war, HM explained to me that Morocco decided to buy 350 thousandblankets in one year because it was cheaper than buying 30 thousand blankets every year,’’ Senoussi added. ‘’At first, I thought his words made sense, but I found out later that the 350 thousand blankets were bought for the 350,000Moroccans who took part in the green march, and that HM had lied to me in order to keep it a secret,’’ he concluded. He was only 16 years old when he went to an office that recruits volunteers willing to take part in the green march. His name is Bouchaib Elouazzani. He was the youngest volunteer who took part in the green march. He left home although his parents did not allow him to, and made his way to the Southern Province along with 350,000 others, armed with the Qur’an and their faith. ‘’I joined the crowds without the authorization of my parents… The departure day was a historical day for all the volunteers. I met persons from all walks of life; all what brought us together was the love of our country and our king,’’ Bouchaib Elouazzaini said in an interview.